Lee Carol serves as the Executive Director of the museum. She is a native of Kentucky and was raised in Cincinnati, Ohio. She was lured to the great state of North Carolina first to attend camp and later to attend Davidson College where she graduated with honors with a BA in Public Policy. She and her husband, Bob, live in Lenoir where they raised their 3 children. Lee Carol has over a 25 year history of working with non-profits in a leadership capacity with over 23 years in art non-profits. 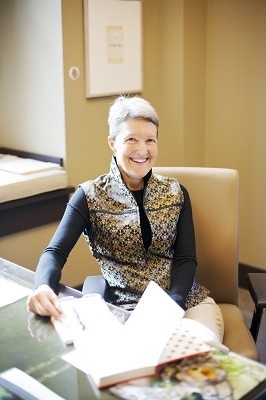 Among her previous roles, she served as the Executive Director of the Caldwell Arts Council (1994-2015) and on the Board of Directors of the North Carolina Arts Council (2002-2011). 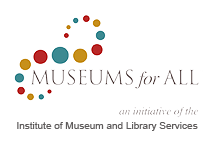 Lee Carol is excited to be working with the staff and Board of Trustees of BRAHM at this exciting time in the museum's development. Sharon has made the North Carolina High Country her home for the last 34 years. She came to the Boone/Blowing Rock area to visit with friends in 1982 and a chance meeting with local business person, Bob Caldwell led to their marriage in 1983. They love this area and enjoy traveling the area and seeing the seasonal changes. Sharon is an avid gardener and reader. She grew up in coastal Connecticut and graduated from West Haven High School with a focus on business. After high school Sharon was able to travel and live in a number of locations in the US; North and South Dakota and the Blue Ridge Mountain area of Virginia, while working and sharing in volunteer activities until settling in Boone. 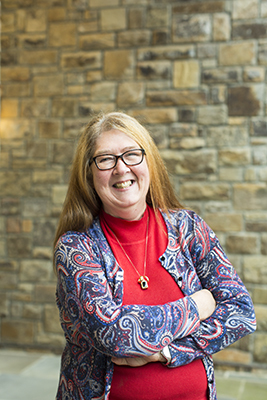 Sharon’s work career since living in the High Country has been mainly focused on the Office Management and Accounting areas for a number of local businesses. Sharon is very happy to join BRAHM as Office Manager and looks forward to assisting her fellow workmates and the museum. Dianna has served as the Curator at the Museum since July 2014. She graduated from Appalachian State University with degrees in Arts Management and Studio Art. Previously, Dianna curated for the Looking Glass Gallery on campus and held positions at both the Smith Gallery and Turchin Center for the Visual Arts. 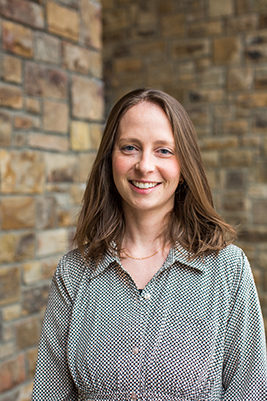 She lived in New York while completing a curatorial internship at the Museum of Modern Art in New York after graduation, and returned to the mountains of North Carolina after finding a love for small cultural organizations. Her roles include curating and developing exhibitions, managing changeovers in the galleries, leading tours and talks, and assisting with the long-term development of the Museum’s exhibitions and collections departments overall. Outside of the Museum, but never really far away, she finds herself exploring the Blue Ridge Parkway, enjoying a craft beer in town, experiencing culture in nearby cities, or spending the evening at home with her artistic husband, fluffy gray cat, and two little dogs. Her dedication to the Museum stems from a belief in always giving back to something much greater than herself. 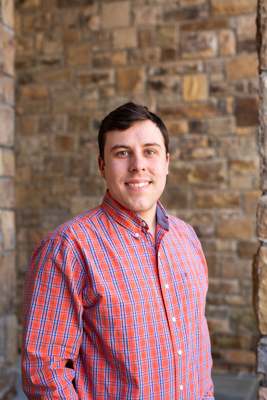 Zach moved to the High Country in 2013 to begin his undergraduate studies at Appalachian State University (ASU). After six years and two degrees (B.S. in Applied and Public History and M.A. in Museum Studies), he fell in love with this small cozy community, making BRAHM a perfect fit. 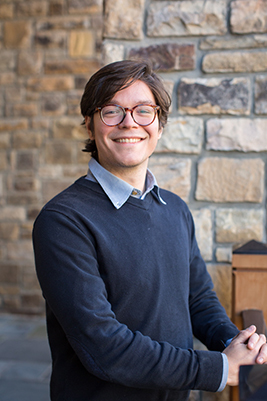 While at ASU, Zach specialized in the study of American slavery in the Antebellum period, as well as Appalachian history, primarily in terms of economic distress. Most every week, Zach can be found participating at open mic night with his group, The Kraut Creek Boys, at Appalachian Mountain Brewery, or sitting in at the Old Time Jam at Ransoms in downtown Boone, NC. Zach’s passion for music has been ongoing, beginning with piano lessons at age five and progressing into thirteen years of playing guitar and singing. Outside of music, Zach has a passion for the outdoors as an avid fisherman and amateur hiker. He likes to spend beautiful mountain summer days searching for the best place to put a line in, whether or not the fish are biting. Steve grew up in the small towns of rural Pennsylvania. He met his wife Joyce while at Penn State. It was also there that his interest in cultural heritage really began, when he was a student working in the university library’s rare books collection. Following along his wife’s career as a senior administrator and dean at academic libraries he ranged across the country from Virginia to North Carolina -- and Connecticut, Washington and Utah. This “working tour” of the United States helped coalesce in Steve's mind the central philosophy of his life - that mountainy, tree-strewn places are "pretty cool” and museums are "really neat". Before arriving at BRAHM in 2016 Steve worked in registration, collections management, exhibit installation and visitor services. He loves driving and talking about Corvettes, and performance cars in general, and amusing his cats. He thoroughly enjoys helping the museum achieve its mission of bringing art and people together. After graduating from Thomas Johnson High School Magnet Program for the Visual and Performing Arts, Jennifer earned her BFA in Fine Arts from UNCG with additional coursework in Education. She has taught art in both private and public settings. After spending 12 years in the fields of deadline oriented print graphic design and educational publishing, she is eager to return to the creative classroom. 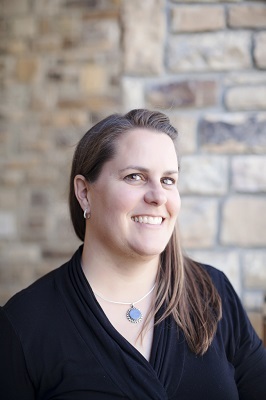 Jennifer has lived in the High Country with her husband, Michael, for 17 years, enjoying the hiking and scenic beauty that brought them here from Frederick, Maryland. She volunteers at Blowing Rock School, where her son currently attends and her daughter will begin kindergarten this fall. Jasmin came to Western North Carolina in 2006 and never left. 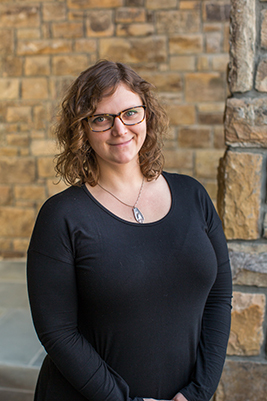 A 2010 graduate of Art History from ASU, she has recently joined the museum staff after a 7 year career at the renowned Penland School of Crafts. Jasmin is eager to apply her love of art history, her dedication to local artists, and her belief in community building and education through the arts to her role as administrative assistant and events coordinator at BRAHM. She and her husband have a deep affection for the Appalachian mountains and hope to always call them home. They are ready to hit the hiking trails with their new baby and absorb as much of the area's rich culture as they can. Anna Clair Miller, a native of Boston, Massachusetts, was raised in a family of artists in a city renowned for its cultural infrastructure. Her adoration for museums and conservation began early: her self-led education entailed a daily rotation of youth programming at several of Boston’s remarkable institutions, including the MFA, the Isabella Stewart Gardner Museum, the New England Aquarium, and vocal performance with the Handel & Haydn Society. It has been over a decade since she traded New England for the Blue Ridge Mountains. After completing her final year of high school at Watauga High, she attended Hamline University in St. Paul, Minnesota, where she studied Anthropology. When she isn’t excitedly welcoming museum guests and pampering the Front Desk fern, Anna Clair enjoys planning fly-fishing excursions with her boyfriend, befriending native fauna, and developing her passions for agrobiodiversity and horticulture. Originally from just outside of New Orleans, Ashley moved to North Carolina in 2005. 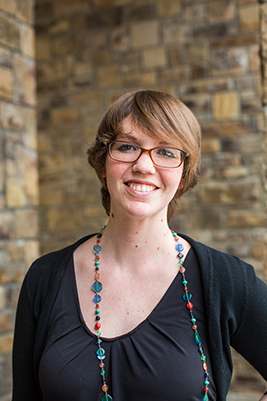 She attended UNC-Chapel Hill and graduated with a BFA with a concentration in Art History. While at UNC, she focused on film photography and working in the analog darkroom. In August 2012, she became the store manager at the Music & Arts located in Cary, NC, which is one of the chain's highest volume stores. Steeped in the music, art, and cultural diversity that southeast Louisiana offers, she loves jazz and blues, always wants to know the best restaurants in town and tries to remember that working hard should always be followed up by playing hard. She is also a freelance photographer and musician, frequently traveling across the state for work, new experiences, and to explore. 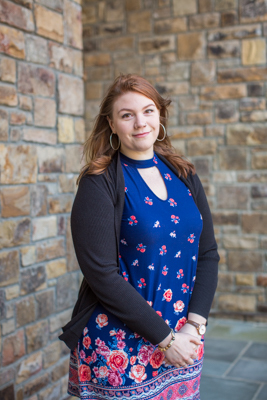 Through her love for art as well as her talent for business and management, Ashley hopes to be a valuable addition to BRAHM and is excited to be a part of the museum's current period of growth and transition. 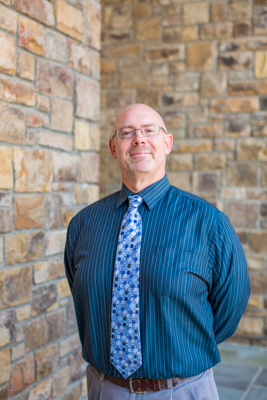 Originally from Fayetteville, North Carolina, Willard moved to Boone in 2008, but his roots run deep in Watauga County. He has a Masters in Appalachian Studies with a concentration on Sustainability and a Bachelors of Science in Sustainable Development both from Appalachian State University. Since 2010 Willard has been an active member of the High Country community through volunteerism and event planning. 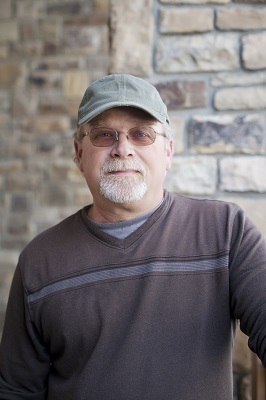 He has worn many hats in the area such as co-chair of the Doc & Rosa Lee Watson MusicFest ‘n Sugar Grove, community outreach specialist for Sustain Appalachian, and events manager for Center 45 Climbing & Fitness. His great-grandfather and namesake, Willard Watson I, was a well-known toy carver, moonshiner, and dancer. His academic and volunteer passions intersect on the topic of cultural preservation and community development through the creative arts. He also serves as the Food Vendor and Seminar Coordinator for the High Country Beer Fest.